I’ve mourned the loss of The Avengers: The Lost Episodes from Big Finish’s slate of productions, so I was intrigued when Callan was announced. I’d never even heard of the programme, to be honest, but it too seemed to be gritty, atmospheric, period spy/crime thrillers, so I took a chance on it. I was right. Much like Big Finish’s The Avengers, Callan Volume One works for those of us who have never watched (and will never watch) the television programme, as it recreates the era anew, with adaptations of old stories with a new cast that stand on their own. Ben Miles (Patrick in Coupling, the Time Traveller in The Time Machine) plays cynical spy Callan, assassin for the “Section”, an underfunded and unscrupulous arm of the British government. Miles is great here, balancing the character’s pessimism and humanity. Callan depicts a dangerous world, and Miles helps bring us into it — when Callan is injured, you hear it in his voice. The supporting cast is also strong. Frank Skinner (a random soldier in Doctor Who: Dark Eyes 2, Perkins in Doctor Who: Mummy on the Orient Express) plays Lonely, an ex-convict and petty thief who is both cowardly and smelly. Lonely often serves as the audience’s identification figure up against the reserved Callan, supporting Callan on his adventures because his greed gets the better of him. Jane Slavin (soon to be Ann Kelso in The Fourth Doctor Adventures) is the Section’s secretary, Liz. Slavin does a good job in a small role, managing to sound real and vulnerable, and calibrating the character’s attraction to the unavailable Callan just right. (There is nothing like the over-the-top flirtation of James Bond and Moneypenny here.) Tam Williams plays Toby Meres, a fellow member of the Section from a more elite background than Callan, who bickers with the less educated man. Williams sometimes comes across as a caricature, but I liked it when he and Miles played up a brotherly rivalry. Nicholas Briggs (everyone in everything Big Finish ever does) fills out the main cast as Hunter, head of the Section. At first I was sceptical of Briggs playing yet another character: his voice is so familiar from both Big Finish stories and from behind the scenes that I often find myself distracted by his appearances, unable to perceive them as anything other than Briggs doing a new accent. That was true at first here, but by the time Hunter took centre stage in the set’s fourth episode, File on a Harassed Hunter, I had all but forgotten he was played by Briggs, so real was the relationship between him and Hunter. Kudos to Briggs for winning over a sceptic. The stories, like those in Big Finish’s The Avengers range, aren’t original, but are adapted from pre-existing material. Peter Mitchell has adapted short stories by his father, James Mitchell, who wrote the original Callan television episodes and novels. Unfortunately, the first one in the set, File on a Deadly Deadshot, is both the weakest and the most atypical. Instead of the world of urban espionage like the other three stories, this sees Callan pretending to be a moneyed gentleman at a shooting outing at a country estate in order to stop an assassin. The audio format plays against this type of story, with Deadly Deadshot unable to adequately realise its cast of characters. There’s just not enough time for the story to set up a group of suspects, and Callan’s fellow shooters are too indistinguishably cast. The second, File on a Classy Club, would have made a great introduction to the set. It seems to be Callan at its most typical, with nice roles for Callan, Lonely, Hunter, Liz, and Toby, and some tough shoot-outs. The third, File on an Awesome Amateur, was probably my favourite — it involves an overseas jaunt to Vienna to try to pick up a would-be Soviet defector, and Beth Goddard is delightful as Cynthia Widgery, militant feminist and condescending birdwatcher. And the fourth, File on a Harassed Hunter, contains both a genuinely tense confrontation between Callan and his KGB counterpart, and a heartbreaking, understated phone conversation between Callan and Liz. The whole set is a delight: if you like period crime/espionage drama like The Avengers or Danger Man, you should enjoy this, even if you haven’t seen the programme upon which it is based. I look forward to the second set, and hopefully many more beyond that. 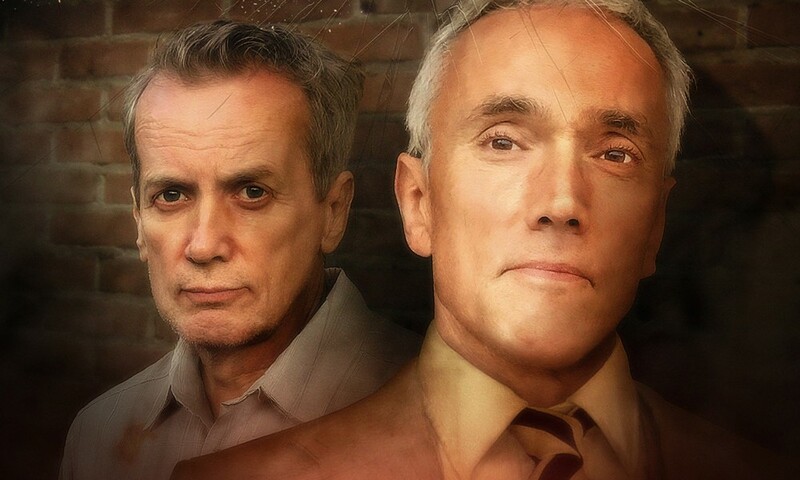 Callan Volume One (by James Mitchell, Peter Mitchell; starring Ben Miles, Frank Skinner, Nicholas Briggs, Jane Slavin) was released by Big Finish Productions in July 2019.